A widely respected leader in business and philanthropy, Brandt Louie is an individual who has woven into his businesses affairs a vision for customer service, fairness, creativity and innovation. As president and chief executive officer of H.Y. Louie Company Limited, and CEO of London Drugs Limited, Mr. Louie has brought continued success to both of the firms he has been associated with over his 25 years in business. He has provided philanthropic support in the fields of health and wellness, medical research, education and the arts. Mr. Louie personally leads London Drugs’ charity committee, which oversee the company’s corporate contributions. Simon Fraser University has been a major beneficiary of Mr. Louie’s generosity, as he has made significant donations to endowments in support of student scholarships and has funded many other initiatives at SFU. He is a National Trustee of the Neuroscience Canada Foundation and has for 15 years been the Co-Chair of the Variety Club’s Cash for Kids program. 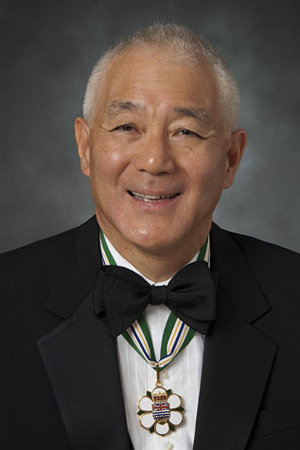 Mr. Louie has received a lifetime achievement award from the Institute of Chartered Accountants of BC and the Queen Elizabeth the Second Golden Jubilee Medal, along with numerous other awards from business and community service groups. He is currently serving a second term as chancellor of Simon Fraser University.